Napa Valley (and the rest of the California wine country) is an agricultural area, and its Mediterranean climate and rich soils are perfectly conducive to growing grapes for wines. The neat rows of vineyards provide a unique element which makes every visitor feel like they’re in a different part of the world. So, are you planning some Napa Valley things to do? You’ll never feel short of the sights, sounds, tastes, and activities here in Napa, depending on your budget. Imagine that money is not something to worry about, you will be able to experience a wealth of activities in Napa Valley — but a few suggestions are given here. One of the famous ways to get around to Napa Valley is the Napa Valley Wine Train. With its spectacularly restored 19th-century vintage Pullman cars, guests will definitely feel the romance of the glorious past. The train takes you to some of the region’s premium wineries (like Charles Krug, Castello di Amorosa, Robert Mondavi, Domaine Chandon, Raymond Vineyards and V. Sattui) and other tourist spots in a three-to-six hour scenic ride. Want to take the views even higher? You will never be lacking in fantastic panoramic views of the Napa Valley as a lot of wineries, estates, and resorts are situated on hilltops. These include Newton Mountain, Sherwin Family Vineyards, and Fantesca Estate & Winery (atop Spring Mountain in St. Helena); CADE Estate Winery (on top of Howell Mountain); Rutherford Hill; Kuleto Estate (which overlooks Lake Hennesey); and the Sterling Vineyards in Calistoga and its famous aerial tram rides. Maybe you’re not satisfied with just sitting on a rooftop deck, you want to take the views into the sky! Yes, that’s possible in Napa. If you’re more of an adventure-seeker you may want to take the views higher in a chopper. It’s more action-packed! There are guided helicopter tours that operate from Napa or in nearby San Francisco which allow you to enjoy great views of the city and its landmarks (like the Golden Gate Bridge and the Alcatraz), as well as the picturesque rural landscape of the Napa Valley. There are also the conventional wine tours included depending on the package. But if you’re distracted by the noise from the rotating chopper blades and you feel you’re still not getting the views you expected, there’s another alternative — a hot air balloon ride! Unlike riding a helicopter, a hot air balloon ride will give you nothing but unobstructed, 360-degree views of the Napa Valley. You don’t have to complain about the noise as the hot air balloon quietly floats in the sky while you enjoy the open atmosphere and the fresh, cool air. Include a hot air balloon ride in your conventional wine tours to make it a more fun, unique, and memorable experience. Balloons Above the Valley (BATV) will give you so much more aside from the main (and sure to be much-anticipated) hot air balloon adventure! Wake up to a pre-flight breakfast at The Model Bakery, and go down afterward to a post-flight champagne brunch at a Michelin-starred taqueria called C Casa. 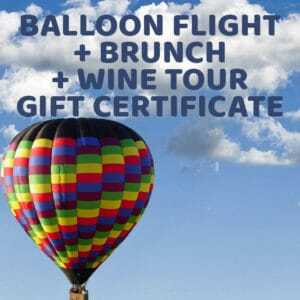 Depending on the type of BATV package you choose, you may either enjoy a standard hot air balloon adventure (with at least a pre-flight breakfast), or more comprehensive itineraries that include wine tours and even tours from San Francisco to the Wine Country. Experience the luxury with BATV without suffering a huge dent to your pocket. 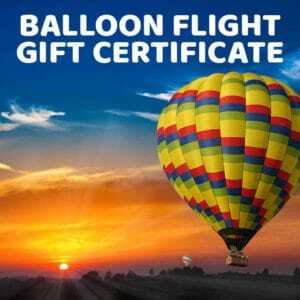 Look at our website https://balloonrides.com/ for more details of the packages and their itineraries. Balloons Above the Valley (BATV) offers the unique and more awe-inspiring episodes of your Napa Valley journey. Having spectacular views of the Napa Valley’s picturesque landscape as the sun rises — is a surreal and ethereal experience you will not easily forget. Next time as you plan your next Napa Valley visit, include an adventure with BATV in your Napa Valley things to do and you experience a journey of a lifetime!